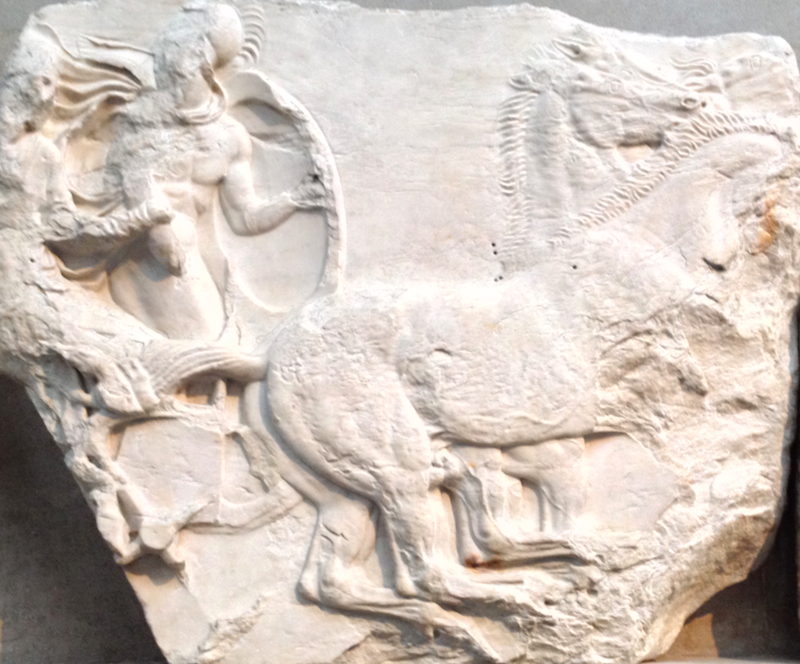 Over twenty-one apobatic chariot teams are depicted on the Panathenaic Frieze of the Parthenon. Image: section XXXI from the south frieze. In my posting of 2015.05.01, I analyzed the Homeric passage at Iliad 17.608–625 where a hero named Koiranos is killed while driving the chariot of Idomeneus, king of the Cretans. After the killing, which happens at verses 610–612, the hero Mērionēs suddenly appears at verses 620–621, as if out of nowhere, and he grabs the chariot reins dropped by the mortally wounded charioteer. Then, at verses 621–624, he hands the reins to Idomeneus, who is shown at verse 609 as he is standing on the chariot platform, and he instructs the king to whip the horses and drive the royal chariot back in retreat to the headquarters of the Achaeans, where their ships are beached. At verses 624–625, we see that Idomeneus complies, and he drives away in the chariot (624–625). I asked the question: but what about Mērionēs? Is he too riding on the chariot that Idomeneus is now driving? And my answer was, no, not here: rather, Mērionēs stays on the battleground and fights on—fighting on foot. My description of this battle scene at Iliad 17.608–625 depends on an interpretation that will have to be defended here in my posting for 2015.05.08, since it differs from the interpretation that we read in a standard commentary. Before I can get around to making such a defense, however, I need to examine comparable Homeric narratives concerning battle scenes involving the martial art of charioteering. As I started to argue in the posting of 2015.05.01, what we see in the Homeric battle scene involving the heroes Koiranos and Idomeneus and Mērionēs at Iliad 17.608–625 is a variation on a theme centering on a division of roles in heroic charioteering, where one hero drives the chariot while another hero leaps off the chariot and fights on foot. These heroic roles, as we will now see, are re-enacted in an athletic event that I call apobatic chariot racing. To understand the bravura of Homeric heroes as charioteers, we must first consider the re-enactment of heroic chariot fighting by way of a special kind of athletic chariot racing that can best be described as apobatic. 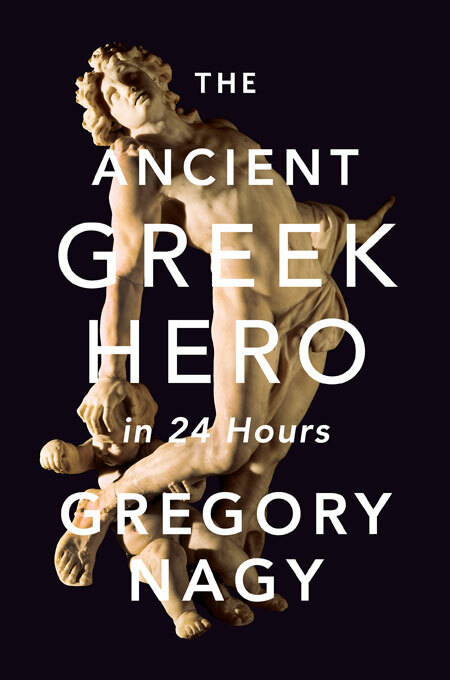 I give the background in my book The Ancient Greek Hero in 24 Hours (2013), and I summarize here only the essentials, retaining the paragraph-numbering that I used for the longer analysis that I gave in H24H. In this summary, many of the original paragraphs are skipped. 7b§1. As we know from ancient sources, there was a special kind of chariot race where two athletes were assigned to each chariot in the competition: these athletes were a chariot driver and a chariot rider. The climactic event in this kind of chariot racing is the critical moment when the chariot rider, wearing a helmet and carrying a shield, suddenly leaps out of his speeding chariot and “hits the ground running” in competition with other chariot riders. Such competing chariot riders were known in the ancient world as apobatai, meaning ‘those who step off’. In Athens, the word apobatai referred to athletes who competed in this special kind of chariot race, and the competition of these apobatai was an integral part of the ritualized athletic program of a seasonally recurring Athenian festival known as the Panathenaia. From here on, I will refer to the athletic event of the apobatai at the Panathenaia simply in terms of apobatic chariot racing. To be contrasted is a different kind of chariot racing where only one athlete was assigned to each chariot in the competition, and this athlete was the chariot driver. The ancient festival of the Olympics, held every four years in Olympia, featured only this kind of chariot racing. The same can be said for the festivals of the Pythia, the Isthmia, and the Nemea: as at the Olympics, there was no apobatic chariot racing at these festivals. We can imagine all eyes focused on the action that leads up to that moment when the competing athlete, riding on the platform of a four-horse chariot driven at full gallop by his charioteer, suddenly leaps to the ground from the speeding chariot. Another aspect of this chariot racing, I should add right away, is that the apobatai could leap into as well as out of their speeding chariots. 7b§3. Highlights of apobatic chariot racing are depicted in the relief sculptures of the Panathenaic Frieze of the Parthenon, created in the 440s BCE, where we see twenty-one apobatic chariot teams on display, with eleven chariots featured on the north side (North XI–XXIX) and ten on the south side (South XXV–XXXV); in each case, the chariot is shown with four horses, a driver, and an apobatēs, who is wearing a helmet and a shield. The apobatai are shown in a variety of poses: stepping into the chariot, riding in the chariot, stepping out of the chariot, and running alongside the chariot; in two cases, the apobatai are evidently wearing a full set of armor. Weighted down by all this armor, the apobatēs must hit the ground running as he lands on his feet in his high-speed leap from the platform of his chariot. If his run is not broken in a fall, he continues to run down the length of the racecourse in competition with the other running apobatai, who have made their own leaps from their own chariots. 7c§4. The ritualized moments of such apobatic leaps executed by athletes riding on speeding chariots in chariot races held at the festival of the Panathenaia in Athens correspond to mythologized moments of apobatic leaps made by heroes fighting in chariot warfare as narrated in Homeric poetry. As we will see from the passages I am about to quote from this poetry, such heroic leaps happen at climactic moments in the epic narrative. Ἕκτωρ δ’ ἐξ ὀχέων σὺν τεύχεσιν ἆλτο χαμᾶζε. Hector leapt out of his chariot, armor and all, hitting the ground. αὐτίκα δ’ ἐξ ὀχέων σὺν τεύχεσιν ἆλτο χαμᾶζε. Straightaway he [= Hector] leapt out of his chariot, armor and all, hitting the ground. Πάτροκλος δ’ ἑτέρωθεν ἀφ’ ἵππων ἆλτο χαμᾶζε. Then Patroklos, from one side, leapt from his chariot, hitting the ground. Ἕκτωρ δ’ αὖθ’ ἑτέρωθεν ἀφ’ ἵππων ἆλτο χαμᾶζε. Then Hector, from the other side, leapt from his chariot, hitting the ground. Patroklos and Hector proceed to fight one-on-one in mortal combat on foot—a combat that is won here by Hector (16.756–863). 7c§9. Having reached the end of this collection of apobatic scenes in the Iliad, I highlight the fact that Hector is featured far more often than any other Homeric hero in the act of leaping out of his chariot to fight in mortal combat on foot. 7d§1. Before we proceed, I should also highlight the fact that the moments of apobatic chariot fighting that we have just surveyed in the Homeric Iliad differ in one significant detail from corresponding moments of apobatic chariot racing at the festival of the Panathenaia in Athens. Whereas the chariots are drawn by two horses in epic scenes of apobatic chariot fighting, we know for a fact that the athletic event of apobatic chariot racing at the Panathenaia involved four-horse chariot teams. I have already noted the evidence of the Panathenaic Frieze of the Parthenon, where we see twenty-one apobatic chariot teams on display, with eleven chariots featured on the north side (North XI–XXIX) and ten on the south side (South XXV–XXXV); in each case, the chariot is shown with four horses, a driver, and an apobatēs. 7d§2. Now a two-horse chariot team, known in Latin as the biga, was more suitable for chariot fighting in warfare than a four-horse chariot team, known as the quadriga, which was more suitable for chariot racing. There is evidence for the active use of the biga in warfare already in the second millennium BCE. As for the quadriga, visual representations of its use in racing are poorly attested before the seventh century BCE, but there are clear traces in the seventh; later on, by the time we reach the early sixth century, the visual evidence is ample. According to Pausanias (5.8.7), the athletic event of racing in the quadriga at the festival of the Olympics was introduced already in the 25th Olympiad, that is, in the year 680 BCE. In the climactic battle scene where Hector and Patroklos face off as apobatic warriors, leaping off their speeding chariots and rushing toward each other as they hit the ground running, we have seen that Kebriones, the charioteer of Hector, is killed by a rock thrown at his forehead by Patroklos already at the moment when Hector leaps off the chariot (Iliad 16.734–755). This same hero Kebriones had taken the place of an earlier charioteer of Hector, Arkheptolemos, who was killed in an earlier apobatic scene where the Achaean hero Teukros is shooting his arrow at Hector but the arrow hits the charioteer instead (8.312–315). Hector feels intense grief at the loss of his charioteer but he leaves his dead comrade lying there (8.316–317) and immediately finds a replacement, his brother Kebriones, whom he orders to mount the platform of the chariot and take the reins while he, Hector, leaps off the platform to fight on foot (8.318–321). From this point onward, Kebriones is the main chariot driver for Hector, though on occasion Hector calls on this brother of his to fight on foot, while ordering an inferior charioteer to become the temporary driver of the chariot (12.91–92). But Arkheptolemos is not the earliest charioteer of Hector. An even earlier charioteer, the hero Eniopeus, is killed when the Achaean hero Diomedes is throwing his spear at Hector but the spear hits Eniopeus instead (8.118–123). Here too, Hector feels intense grief at the loss of his charioteer but he leaves his dead comrade lying there (8.124–126) and immediately finds a replacement, Arkheptolemos, whom he orders to mount the platform of the chariot and take the reins (8.126–129). Here I turn to the work of Ellen Aitken (1982), whose research on the poetics of charioteering figured prominently in my posting of 2015.05.1. In her analysis of Iliad 8.116–129, she notes a striking detail about Eniopeus, the hero who “takes the hit” for Hector when Diomedes, riding in a chariot driven by Nestor, throws his spear at Hector riding in a chariot driven by Eniopeus—and hits Eniopeus instead of Hector. The detail is this: at verse 119 here, Eniopeus is not only the hēniokhos ‘charioteer’ of Hector, but he is also that hero’s therapōn. And, as Aitken argues, the meaning of this word therapōn in such a context is ‘ritual substitute’. A close parallel is the figure of Patroklos, who is not only the hēniokhos ‘charioteer’ of Achilles (Iliad 23.280), but he is also that hero’s therapōn (16.244). And, as I have just noted, whoever is therapōn for another hero can die as a ritual substitute for that hero. So, in Iliad 16, Patroklos dies for Achilles. But I must highlight here the fact that Patroklos is not driving the chariot of Achilles at the moment of his death. A charioteer who is inferior to Patroklos, Automedon, is the driver at this moment. In preparation for the apobatic chariot fight between Patroklos and Hector, it is Automedon who serves as chariot driver for Patroklos, as we see already from the fact that he is the one who yokes the horses of Achilles to the chariot (16.145–154). As I emphasize in H24H 6§27, it is Patroklos and not Achilles who is the chariot fighter at this moment, while it is Automedon, not Patroklos, who is the chariot driver. ἀλλὰ σὺ μὲν μάστιγα καὶ ἡνία σιγαλόεντα | δέξαι, ἐγὼ δ’ ἵππων ἀποβήσομαι, ὄφρα μάχωμαι. But you [= Alkimedon], take this whip and these splendid reins, | take them, while I [= Automedon] step off [apobainein] from the chariot, so that I may fight. And, sure enough, Alkimedon quickly leaps into the chariot, landing on the chariot platform (17.481 ἐπορούσας) and taking hold of the whip and the reins (17.482), while Automedon leaps out of the chariot, that is, he leaps off the chariot platform (17.483 ἀπόρουσε) and lands on the ground, where he can then start fighting. So, as I argue in H24H 6§29, we see here a functioning dyadic relationship between Automedon as a chariot fighter and Alkimedon as a chariot driver, both of whom are secondary substitutes for the primary substitute Patroklos, the premier chariot driver who became a chariot fighter for Achilles and who thus died for him as his therapōn, as his personal ritual substitute. Just as Patroklos is the personal therapōn of Achilles, the Cretan hero Mērionēs is the personal therapōn of Idomeneus (13.246, 328–331; 23.113, 124, 528, 860, 888). In the case of Patroklos, as we have just seen, this hero as a ritual substitute of Achilles gets killed in the Iliad. Patroklos dies for Achilles. But here is a big difference between Patroklos and Mērionēs, as Ellen Aitken argues most effectively in her 1982 work. Though Mērionēs as a therapōn of Idomeneus is a ritual substitute for that king of all the Cretans, this recessive member of the pair does not die for that dominant member. Mērionēs stays alive, destined to become a dominant hero in his own right. And the key to his success, as Aitken shows, is that he is not only the therapōn of Idomeneus. He is also the opāōn of that hero (7.165-166, 8.263-264, 10.58-59, 17.258-259). The etymological meaning of this word, as Aitken explains, is ‘follower’. To put it another way, as I note in the posting of 2015.05.01, Mērionēs is the would-be ‘successor’ of Idomeneus. |608 … ὃ δ’ Ἰδομενῆος ἀκόντισε Δευκαλίδαο |609 δίφρῳ ἐφεσταότος· τοῦ μέν ῥ’ ἀπὸ τυτθὸν ἅμαρτεν· |610 αὐτὰρ ὃ Μηριόναο ὀπάονά θ’ ἡνίοχόν τε |611 Κοίρανον, ὅς ῥ’ ἐκ Λύκτου ἐϋκτιμένης ἕπετ’ αὐτῷ· |612 πεζὸς γὰρ τὰ πρῶτα λιπὼν νέας ἀμφιελίσσας |613 ἤλυθε, καί κε Τρωσὶ μέγα κράτος ἐγγυάλιξεν, |614 εἰ μὴ Κοίρανος ὦκα ποδώκεας ἤλασεν ἵππους· |615 καὶ τῷ μὲν φάος ἦλθεν, ἄμυνε δὲ νηλεὲς ἦμαρ, |616 αὐτὸς δ’ ὤλεσε θυμὸν ὑφ’ Ἕκτορος ἀνδροφόνοιο· |617 τὸν βάλ’ ὑπὸ γναθμοῖο καὶ οὔατος, ἐκ δ’ ἄρ’ ὀδόντας |618 ὦσε δόρυ πρυμνόν, διὰ δὲ γλῶσσαν τάμε μέσσην. |619 ἤριπε δ’ ἐξ ὀχέων, κατὰ δ’ ἡνία χεῦεν ἔραζε. |620 καὶ τά γε Μηριόνης ἔλαβεν χείρεσσι φίλῃσι |621 κύψας ἐκ πεδίοιο, καὶ Ἰδομενῆα προσηύδα· |622 μάστιε νῦν εἷός κε θοὰς ἐπὶ νῆας ἵκηαι· |623 γιγνώσκεις δὲ καὶ αὐτὸς ὅ τ’ οὐκέτι κάρτος Ἀχαιῶν. |624 Ὣς ἔφατ’, Ἰδομενεὺς δ’ ἵμασεν καλλίτριχας ἵππους |625 νῆας ἔπι γλαφυράς· δὴ γὰρ δέος ἔμπεσε θυμῷ. |608 He [= Hector] threw his spear at Idomeneus son of Deukalion. |609 He [= Idomeneus] was standing in his chariot. He [= Hector] just barely missed his target. |610 Instead, he struck the follower [opāōn] and charioteer [hēniokhos] of Mērionēs, |611 Koiranos was the man’s name, who had followed [hepesthai] him [= Mērionēs], coming from the city of Lyktos. |612 For he [= Mērionēs], from the start, had come [to the battleground] on foot when he had come away from the ships with their curved prows and sterns. |613 That is how he [= Mērionēs] had come. And he [= Mērionēs] would have handed over to the Trojans a mighty victory [if he had been the one who got killed, and] |614 if Koiranos had not been the one who drove with speed the swift horses.|615 He [= Koiranos] had come as a light of salvation for him [= Mērionēs], preventing this day from becoming the pitiless day [of death] for him [= Mērionēs], |616 while he himself [= Koiranos] lost his own life at the hands of Hector, slayer of men. |617 Yes, he [= Hector] struck him [= Koiranos], hitting him right under the jaw and ears. His teeth were pried loose, |618 pushed in by the tip of the spear, which split his tongue right down the middle. |619 He fell from the chariot, dropping the reins to the ground. |620 But Mērionēs picked them up in his hands, |621 having leaned over, from the ground, and he spoke these words to Idomeneus: |622 “Give the horses a lash of the whip right now and keep whipping them until you get all the way back to the swift ships. |623 Even you must know by now that victory no longer belongs to the Achaeans.” |624 That is what he [= Mērionēs] said, and Idomeneus gave the horses with the beautiful manes a lash of the whip |625 as they sped toward the hollow ships, since by now his spirit was invaded by fear. You [= Mērionēs] must keep the two of us [= Mērionēs and Idomeneus] to the left—just like this!—of the battleground. Granted, such wording could apply in contexts where two heroes are riding in a chariot. But the fact is, no chariot is mentioned in the present context, just as no chariot was mentioned in the previous context at Iliad 13.295–305 when the two heroes Idomeneus and Mērionēs, those “talkative Cretans,” had set out for battle, starting from the place where their ships were beached and heading for the battleground. In the wording that I just quoted, Idomeneus is saying to Mērionēs that they should keep to the left-hand zone of the battleground (13.326), and his reasoning has to do with what is said about the right-hand zone and the middle zone (13.306–324). These war zones at the right and at the middle are already dominated by mighty allies like Ajax and Achilles (13.321, 324). So, let’s keep to the left (13.326). At this point Mērionēs heads off to battle, leading the way (13.328–329). And it is in this context that he, Mērionēs, is described as the therapōn or ‘ritual substitute’ of Idomeneus (13.331). Since Mērionēs is shown here as leading the way, the narrative as we have it leaves room for the idea that Idomeneus will be following in a chariot, which is driven not by Mērionēs but by Koiranos. The Cambridge University Press commentator on Iliad 13.326 says that the imperative form ἔχε (ekhe) here, which I have translated as ‘keep [to the left]’, really means ‘drive [the chariot to the left]’, as if the verb here were not ἔχω, meaning ‘keep’, but rather an obsolete form *Fέχω, meaning ‘drive’: “ἔχε is the imperative of the old verb Fέχω, ‘drive’, … cf. Latin vehō.” I don’t think so. In the Greek-English dictionary of Liddell, Scott, and Jones (LSJ), under the entry ἔχω, meaning ‘keep’, we read that this verb is used in contexts where the idea is to ‘keep’ oneself to the left or to the right of a given situation. In this Iliadic battle scene, then, we have seen that Mērionēs has become an apobatic fighter in his own right. He fights the way Idomeneus could have fought if that king had jumped off the platform of the royal chariot. So Mērionēs has been upgraded from apobatic driver to apobatic warrior. It is a salvation for him that Koiranos had taken his place as the chariot driver of Idomeneus. Unlike other chariot drivers, Mērionēs will not get killed because he is not only a therapōn or ‘ritual substitute’ of Idomeneus. He is also the opāōn or ‘follower’ of that king. As we can see from the foundational research done by Ellen Aitken on this Homeric word opāōn, Mērionēs has thus become the ‘successor’ of Idomeneus. Edwards, M. W., ed. 1991. The Iliad: A Commentary (general editor G. S. Kirk) Vol. 5, Books 17–20. Cambridge. Janko, R., ed. 1992. The Iliad: A Commentary (general editor G. S. Kirk) Vol. 4, Books 13–16. Cambridge. Scanlon, T. F. 2004. 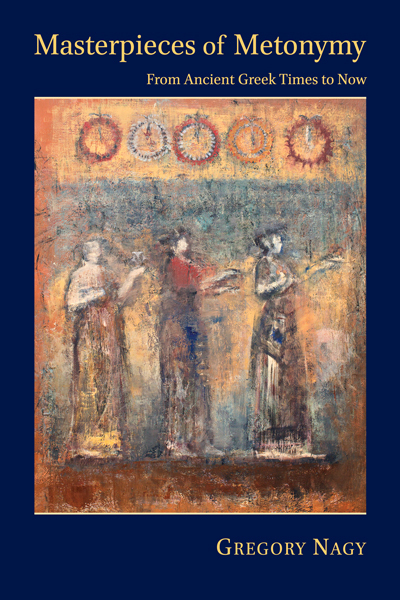 “Homer, The Olympics, and the Heroic Ethos.” The Olympic Games in Antiquity: ‘Bring Forth Rain and bear Fruit’ (ed. M. Kaila et al.) 61–91. Athens. Shear, J. L. 2001. “Polis and Panathenaia: The History and Development of Athena’s Festival.” PhD diss., University of Pennsylvania. Nagy, Homer the Preclassic 172 = II§91. Again, Nagy, Homer the Preclassic 172 = II§91. On images showing the apobatēs holding on to the chariot rail with his right hand: Shear 2001:303, 305. Shear 2001:48, 55, 301, 303, 309. Scanlon 2004:67 finds this dating plausible.